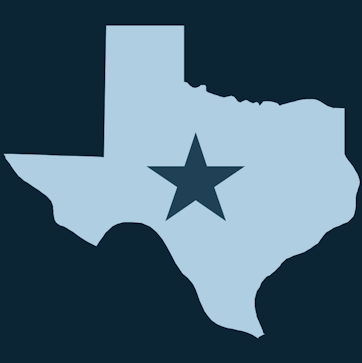 Since I am the Collin County Senatorial District 8 (SD8) Convention Chair, I created a convention information website that provides an A to Z collection of information about 2014 Democratic Party SD / County Convention procedure under the newly adopted Texas Democratic Party rules. While some of the convention information published on the website is tailored for the Collin County SD8 Convention, much of the information applies generally to Democratic Party SD / County Convention procedures. CLICK HERE to visit the SD8 Convention information website. Many Democrats have questions about the TDP Rule change that moves Democratic Precinct Conventions from immediately after polling places close on Primary Election Day to the top of the SD / County Convention agenda, as a step in March 22nd Convention Day proceedings. Another TDP Rule change removes the requirement for Democrats to vote in the primary in order to attend their SD / County Convention. Any Democrat who is registered to vote and has taken an oath of affiliation or has voted in the Democratic primary may become a convention delegate and volunteer to serve on a committee at their SD or County Convention. These changes to Democratic Party Convention procedure may be confusing to Republican Party primary voters, because, for the first time, convention rules are no longer the same for both Republicans and Democrats. The Republican Party of Texas continues to convene Republican Precinct Conventions immediately after polling places close on Primary Election Day. Republican Party and Democratic Party convention notification signs displayed in primary polling place will give different information about party convention when, where, and how. Perhaps all the more confusing for Republican and Democratic Party primary voters in Collin County is the agreement made between the Republican and Democratic Party County Chairs to depart from precinct based voting on Election Day. Election Day Voting Centers work like Early Voting polling locations where registered voters living anywhere in Collin County may vote at any Voting Centers open around the county on Election Day. Collin County Republicans seeking to attend their precinct convention immediately after polling places close on Primary Election Day should contact the Collin County GOP office for details on which precinct conventions will convene at various locations around the county. In past years, the Democratic Party of Collin County convened a joint Senatorial District 8 and Senatorial District 30 "County Convention," within District 8 territory. This year, on Saturday, March 22nd, each Senatorial District (SD) within Collin County will convene their own SD Convention within their own District's territory. NOTE: Under the newly revised Texas Democratic Party rules, Precinct Conventions are no longer held immediately after polling places close on Primary Election Day. Individual Precinct Conventions have moved from Primary Election Day to the top of the SD Convention agenda as an organizing step in Convention Day proceedings. Any Democrat within the Senatorial District who is registered to vote and has taken an oath of affiliation or has voted in the Democratic primary may become a convention delegate and volunteer to serve on a Convention Committee.